Kọla Túbọsún is a Nigerian linguist, editor, travel writer, and scholar. His works have been published in African Writer, Aké Review, Brittle Paper, International Literary Quarterly, Jalada, Popula, Saraba Magazine, etc. 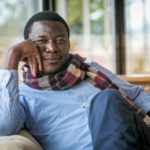 In 2016, he became the first African to be given the Premio Ostana, a prize given for work in indigenous language advocacy. Tubosun is the brain behind YorubaName.com, a first crowdsourced multimedia dictionary of Yorùbá names. He has been translated to Italian and Korean, and currently works as a freelance lexicographer with Oxford University Press, UK. His collection of poetry Edwardsville by Heart was published in November 2016 by Wisdom’s Bottom Press, UK. The proposed nonfiction book takes the enchanting life of Wọlé Sóyínká (traveller, forest dweller, and hunter) as a starting point in the creative interrogation of the Nigerian megafauna, literary and cultural history, landscape, travel, conservation, and many other dimensions of the human experience — from the viewpoint of a travel writer — through histories, travelogues, language and cultural inquiry, and the Nigerian drama of existence.